A Limited Liability Company (LLC) Operating Agreement is a document that states how and who manages the entity. It also outlines several aspects of how the entity will operate, how each member will share in the profits and losses and what each member’s rights and responsibilities are. We get many questions about the operating agreement such as; are LLCs required to have one, what goes into an operating agreement and do you have a sample operating agreement to help us get started? We answer these questions below. 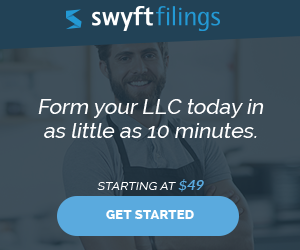 Is an LLC Required to Have an Operating Agreement? 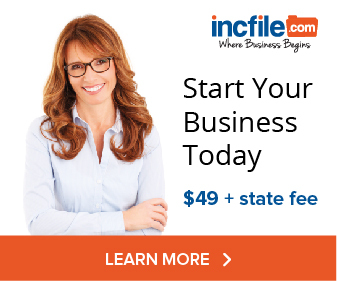 While all Limited Liability Companies must file the Articles of Organization with the state, most states do not require an operating agreement. The operating agreement is like a corporation’s bylaws which set out how the entity is managed and the roles and responsibilities of the owners. New York is the only state that requires a written agreement for all LLCs, Alabama, Ohio, and California need a written agreement for multi-member LLCs and California, Delaware, Maine, Missouri need an operating agreement that can be written or oddly enough, oral. Arkansas, the District of Columbia and New Mexico don’t require operating agreements, but if the entity chooses to have an agreement, it must be in writing. A single-member LLC in Colorado, Connecticut, Georgia, and Kentucky need operating agreements. Every state has laws on how an LLC is managed but often the operating agreement can take precedence and the state laws don’t apply. It may be in your best interest in some cases to have an operating agreement even if it isn’t required. There are a lot of options on what can be put into an operating agreement, yet most will have the following common elements. Business Information – Basic information like the name and address of the business, what the business does, when the business started, fiscal year, registered agent information, names of members, etc. Ownership – Describes, explains the authority each member has on the operations of the entity, percentage of ownership, how to add and remove members and which decisions need to be voted on. Management – Spells out the members and managers responsibilities and whether the LLC is member-managed or manager-managed. If the LLC is manager-managed, the owners will want to consider the process of removing a manager and how much authority of the manager has for daily business decisions. Financial Details – Lists how each members capital contributions, how much extra money needs to be raised and the effect on ownership along with details on how profits will be distributed and remedies should additional capital be needed should the business experience losses. Owner Exits and Dissolution – While nobody is thinking about leaving or closing the LLC due to a lack of sales, it is a topic that needs discussion. Topics like how do you value the company, what happens when a member passes away and should the business face difficulties and how is the business dissolved should it not be successful. These were some of the more basic items and there are several other topics to consider. While it’s not required, it is a good idea to have the legal guidance to protect each member’s interests. It’s a lot easier to do this early in the business, rather than later. Where can I get Sample Operating Agreements for an LLC? There are several sample LLC operating agreement templates on the internet. While they don’t take the place of a legal professional, they will cost much less and are usually better than nothing. In fact, here are some that we have found that are free! Who do I file the Operating Agreement With? After finalizing the company operating agreement, file with the organizational records of the business. The agreement isn’t filed with the state, but it is a good idea to notarize the operating agreement. Members will receive a copy for their records. Be sure to update the operating agreement when there are significant changes like the addition or removal of a member.